A year ago, Bradley Stone had agreed to give up his guns. Last week, he had persuaded a Veterans Affairs psychologist he was neither suicidal nor homicidal. On Wednesday, the onetime Marine had officials perplexed about how he died. A day after Stone's lifeless body turned up in a patch of Pennsburg woods - the final scene after a rampage that left his ex-wife and five others dead - the mystery surrounding his life and death deepened. Details also emerged that raised questions about whether Stone's murderous spree with guns and knives could have been detected or derailed. County records show that when Stone, 35, was sentenced last year for drunken driving, he agreed not to own any "look-alike firearm, lethal weapon, explosives, and/or ammunition." But it was unclear Wednesday whether anyone sought to enforce that clause or even ask whether the ex-Marine - who admittedly had mental health problems and three DUI arrests and was in a bitter, protracted custody dispute - had weapons. According to a transcript from the November 2013 sentencing hearing, Judge William Furber Jr. told Stone he would have to comply with the court's terms "making particular reference to the contract." The judge, also a Marine, did not specifically ask Stone about weapons. Furber did not respond to messages left Wednesday at his chambers and home. Stephanie Landes, coordinator of the county's Veterans Treatment Court, where Stone was processed, hung up when contacted Wednesday by The Inquirer and later sent an e-mail referring to information on its website. Records show that Stone in recent years had legally purchased two firearms - a .40-caliber handgun and 9mm Beretta. According to an affidavit filed by prosecutors, he wielded both - as well as at least one knife - in the Monday morning attacks that killed his ex-wife, Nicole Stone, as well as her mother, grandmother, sister, brother-in-law, and niece. 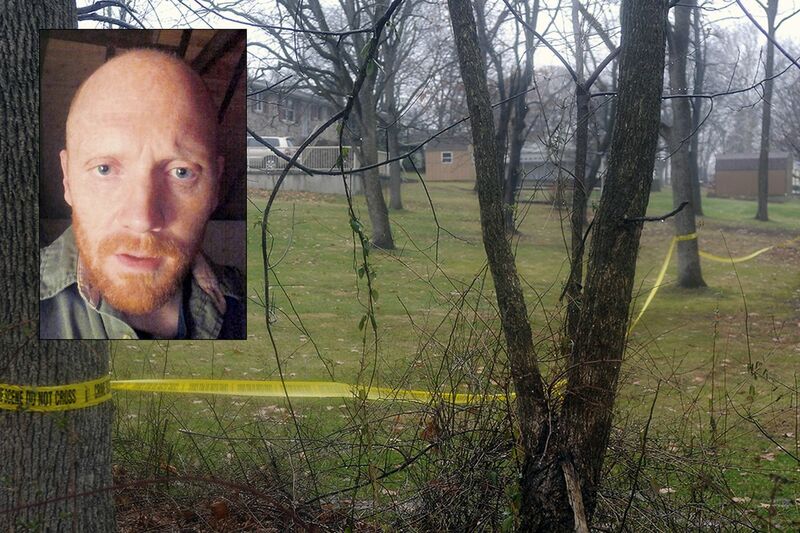 One of Bradley Stone's guns was recovered at Nicole Stone's apartment in Harleysville; shell casings from the other were found at the Lansdale home where he killed her mother and grandmother. Stone's boiling rage also slipped past a VA psychiatrist, the agency said. Stone had spent three months in Iraq in 2008, a tour that some acquaintances blamed in part for his downfall. He told Furber, the Montgomery County judge, that post-traumatic stress disorder had left him fully disabled and unable to work. On Dec. 8, Stone met with a psychiatrist at the Coatesville VA Medical Center, one of at least five VA facilities where Stone had been treated, according to the Department of Veterans Affairs. The doctor there found him to be "without any suicidal or homicidal ideation," it said in a statement. The agency also said it was now conducting a review of Stone's treatment. In a news conference Tuesday, Montgomery County District Attorney Risa Vetri Ferman said county investigators had no evidence that Stone had been diagnosed with the stress disorder. But the VA said Stone had been considered "100 percent service-connected disabled" for the stress disorder since 2010. Ferman also said that Stone apparently died in the woods near his Pennsburg home from self-inflicted "cutting wounds" to his body. Now, investigators are not so sure. After conducting a preliminary autopsy, Montgomery County Coroner Walter I. Hofman said Wednesday that he could not yet say how Stone died - or exactly when. The only injury that medical examiners discovered, Hofman said, was a "limited injury" to Stone's left leg - and one that didn't cause his death. The coroner said that the leg injury was not a gunshot wound, but that he would not elaborate the type of injury. He also said Stone had been dead for at least 12 hours before police found his clothed body Tuesday afternoon. Hofman said he had ruled out hypothermia as a cause of death. Pending is a toxicology report, which could take a week. Assistant District Attorney Kevin Steele said the leg wound was a stab wound about three inches deep. If it wasn't the cause of death, Steele said, "then you look to other possibilities based on the evidence around the scene." That scene was a gruesome tableau. According to Steele, the items found near Stone's corpse included two medicine bottles, one containing a white powder; an energy drink with powder on the lip; and a large-handled machete and doubled-bladed black ax, both coated in blood. Signs of the terror and its aftermath were still evident Wednesday in the three towns where Stone went on his rampage. Not far from Nicole Stone's apartment in Harleysville, Judy Rodriguez wrapped an arm around her friend and neighbor Ashley Deane. It was the first time Rodriguez had seen her since learning that Deane was the neighbor who called police early Monday after hearing Stone break into the apartment, shoot his wife, and take their daughters. "You're lucky to be alive," Judy Rodriguez told her. Candles and mementos had cropped up near the murder scenes. Funeral arrangements were not yet clear for the victims. Fund-raisers have been churning for Stone's daughters - 5-year-old Kayla and 8-year-old Shannon - as well as their cousin Anthony Flick, the 17-year-old Souderton boy wounded when Stone killed his mother, Patricia; father, Aaron; and younger sister, Nina. An online campaign organized by Flick's friends had raised more than $18,000 at gofundme.com/fundsforflick. Word FM, a faith-based radio station, was collecting money as well, through WordFM.com, as was the Souderton-Telford Rotary Club. Checks can be mailed to the Univest Foundation, 14 N. Main St., Box 559, Souderton, Pa. 18964. A relative said Flick, hospitalized in Philadelphia, was awake and "starting to remember bits and pieces" of the deadly attack. Jim Leary, Souderton's police chief, said he couldn't imagine the devastation Flick would soon face. "His family will be buried before he gets out of the hospital," Leary said. "Think of that loss. He's coming home, and there's no home to come to."